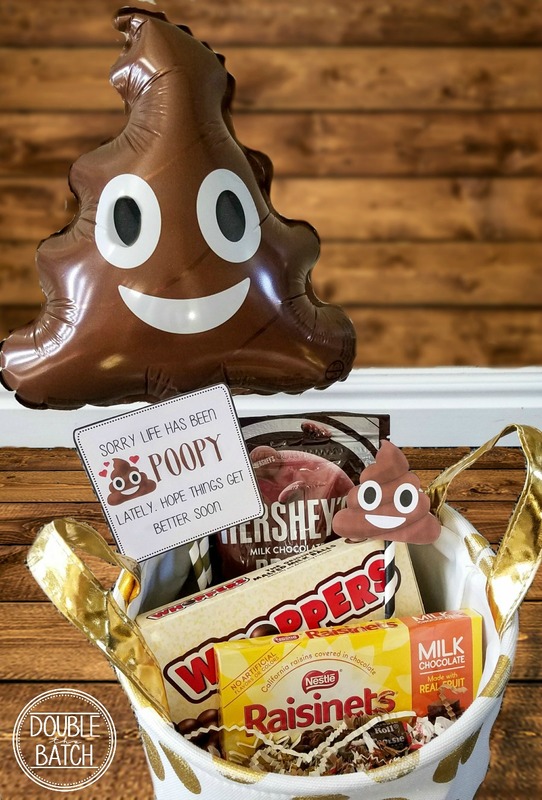 Here are a few fun options I have put together for several different life scenarios that might require a poop emoji gift. 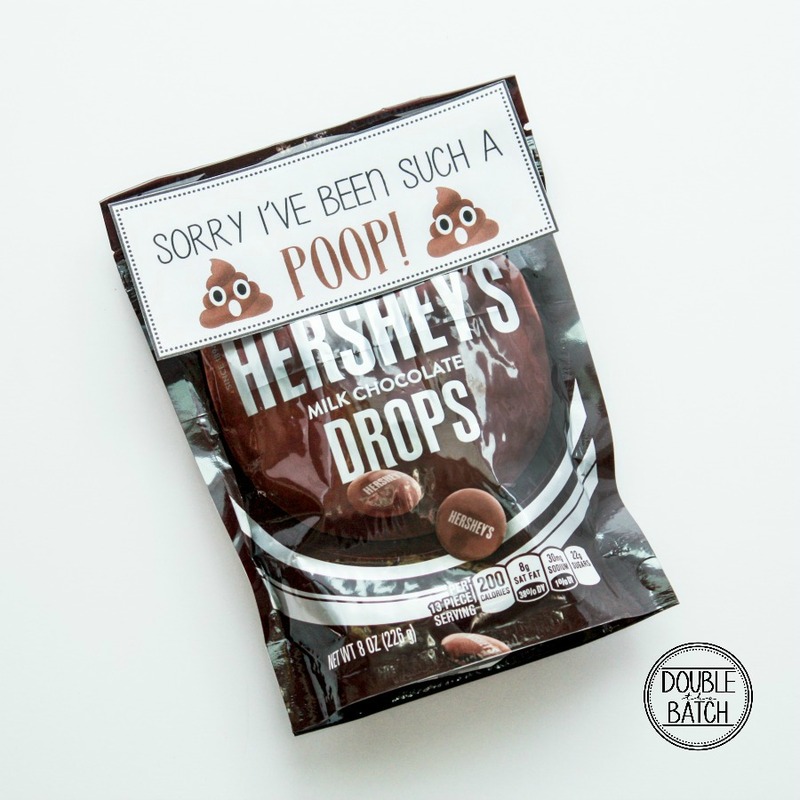 This second poop emoji gift tag is perfect for someone going through something hard or stressful and who just needs a smile or a little pick-me-up. 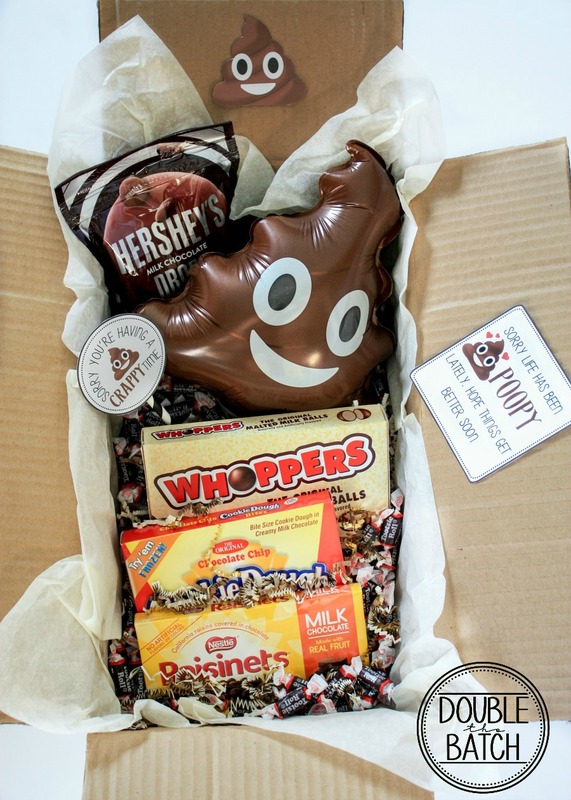 Who wouldn’t smile in receiving this happy poop emoji gift basket? And this next poop emoji gift is packaged for mailing: great for family and friends who might live far away. My sister is currently serving a mission, and went through a discouraging scenario, so I sent her this poop emoji gift box to brighten her way. 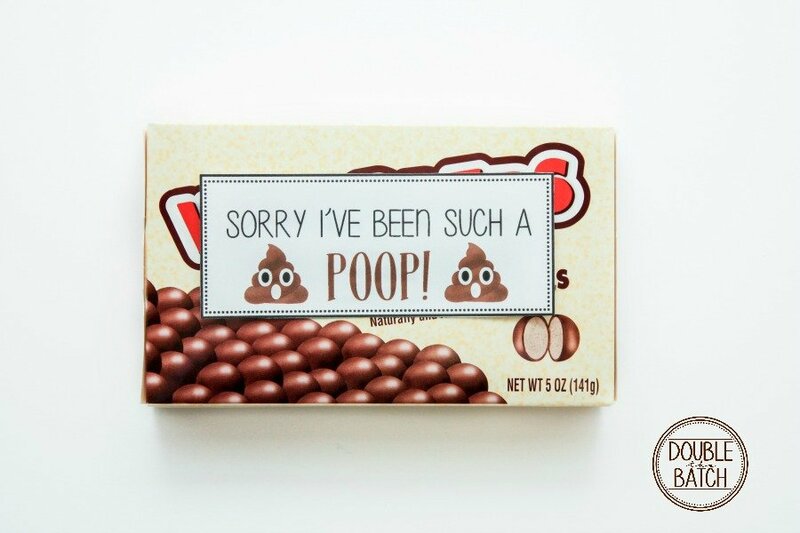 Another great thing about the poop emoji is that it’s growing in popularity, so it’s really easy to find some fun poop emoji gifts to go in your gift box or gift basket (These are my FAVE and would be a perfect addition to any of these poop emoji gifts. 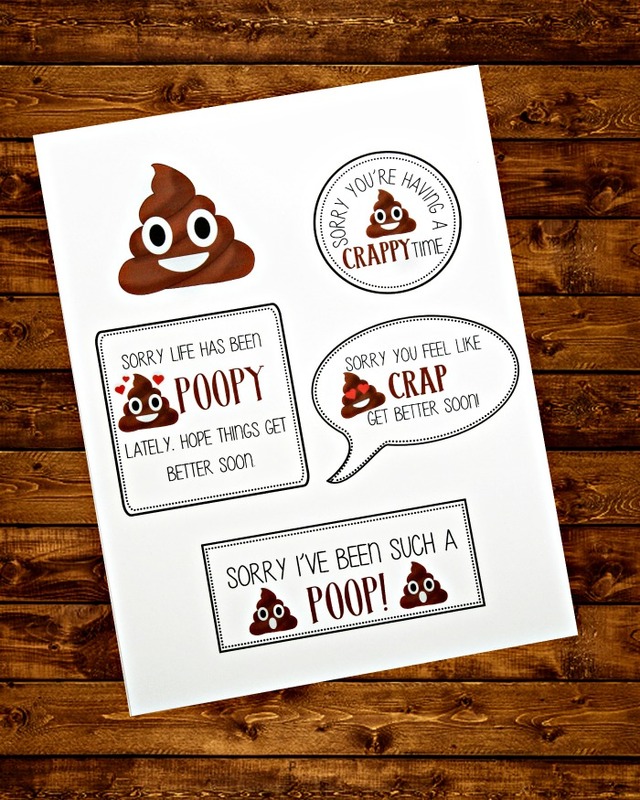 Want to print out these poop emoji gift tags?? Click the image below!